It’s political correctness gone mad: not content with remaking Ghostbusters for women (the horror), we’ve now got The Pink Panther remade for black people. Chadwick Boseman takes over the Peter Sellers role and Michael B. Jordan has the unenviable task of following Herbert Lom; after a successful internet campaign in which I’m proud to have played a part, at least they used Andy Serkis to do a motion-capture version of Burt Kwouk as Kato (it really is impossible to imagine anyone else in the role). The film has been very well-received. 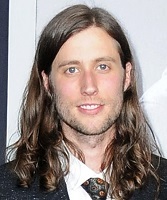 There was some speculation as to whether Ryan Coogler would be able to retain the services of his regular composer Ludwig Göransson having graduated to such a big project (not all the directors of these Marvel films seem to have the final say in such matters) – and lots of people, impressed by Creed, were very pleased that he could. And the reaction to this score has been extraordinary, by far the most positive reception I can remember any of these Marvel scores receiving. It’s not often that I find myself going against the grain, but I do here. For one thing – you could conceive a child tonight, get the pregnancy scan result in a few weeks, find out the child’s gender (should you be so inclined), sit through a few antenatal classes, get to the hospital for the birth, come home a day or two later, invite the grandparents round to see the child, wean it off breast milk and onto solid food, (etc etc etc), see it graduate from college, find a partner, get married, have a child of its own… and if you’d started this album playing at the start of all that, it would still be going at the end. That’s frustrating, because Göransson has actually written some good material here. It’s a very distinctive-sounding score (and admittedly that is not something you could say about most of the Marvel scores), an unusual combination of different elements. The most frequently-noted of these elements is the African one – and this is not the Lebo M-style sound you might expect. The composer researched Senegalese music and enlisted the services of vocalist Baaba Maal. The result actually reminds me a bit of parts of George Fenton’s Cry Freedom (on which Jonas Gwanga played the Maal role) – it has a much more authentic sound than Hollywood’s African attempts usually do. The score’s two main themes are both introduced in “Royal Talon Fighter”. The first, the heroic main theme, springs forth after a gentle African introduction: Göransson’s immersion into the music of Bill Conti in Creed seems to have left a bit of an impression because it’s the sort of sprightly, cheesy, bright and breezy fanfare Conti used to write so often in the 1970s and 80s. It’s only heard briefly in this introductory piece – more time is given to Killmonger’s theme (the villain), which is a much deeper-sounding piece (surprisingly enough), laced with tragic emotion. This is if anything the score’s real core and its most impressive feature – a fascinating, surprising portrait of the character. Maal’s plaintive vocals introduce “Wakanda”, one of the highlight cues, which goes on to develop into an expansive arrangement of the main theme. The complex, multi-layered percussion is an unexpected delight. It dominates “Waterfall Fight” which has such a raw, guttural sound – it’s not exactly music-for-pleasure for the most part, but it is an impressive piece of work. There’s another surprise as the piece nears the end, as all that is left behind and the score explodes into unabashed joy, traditional symphonic (and choral) superhero music which then gets even better when it gets an African twist (and an undoubted Ennio Morricone homage right at the end). “Ancestral Plane” includes a lovely instrumental pop segment for solo guitar (again, an unexpected interlude) and a performance of one of the primary sub-themes, which sounds for all the world like it springs from one of Michael Kamen’s themes from X-Men. There’s a somewhat tender feel to open “Phambili” but it gradually builds up into another massive performance of that fanfare theme. Some darker action prevails in “Killmonger vs T’Challa” as the two main themes go up against each other, with some excellent interplay between the two themes leading up to an epic feel in the closing portion of the cue, enormous choral tragedy coming to the fore. There’s what sounds like a brief musical diversion through Arabia for a while in “Burn it All”, but it soon builds up into another frenzied piece of action/drama. There’s just a hint of hip-hop near the end of the cue, and also in “The Great Mound Battle”. There’s actually more than an hint of it elsewhere on the album, but I haven’t mentioned any of those tracks because I skip them all. I’m forty years old, white, I’ve got a Nespresso machine, the last “pop” music concerts I went to were Elton John and Neil Diamond – I do not like hip-hop, even if it is written in collaboration with Kendrick Lamar (whoever he is). Still, otherwise “The Great Mound Battle” is an excellent cue. “Glory to Bast” is a wonderful piece of action music. It starts huge, calms down a bit for a wonderful oboe version of the main theme, then all of a sudden these striking vocals appear (think The Ghost and the Darkness, with its ingenious use of samples) – it’s a rollicking ride. (Except the hip-hop at the end.) More excellent action follows in “The Jabari Part II” which has an arresting, stabbing sound to it. I mentioned a bit of an epic sound earlier, and it returns in some style in “A King’s Sunset”, a deeply emotional and satisfying piece. The brief “Spaceship Bugatti” is a wonderfully playful take on the main theme which leads into “United Nations” and the end credits, a fine summary of the main themes. ﻿﻿﻿﻿﻿﻿﻿﻿ I won’t go on and on about it because I’m just flogging a dead horse by this point, but really – a 95-minute album release for this score nearly kills it. There are good ideas, but they are stretched far too thin at that length. I’ve no idea why but some people evidently like it: more discerning listeners will absolutely need to chop it right down. If you play every track I’ve named during this review, you have a fifty-minute playlist. You miss out on most of the hip-hop (I’ve made my feelings clear on that) and you still don’t have the perfect album from the score: that needs a bit of editing within cues – you know, the sort of thing a professional album producer should do – but it is much more like it. It’s such a shame the album is so thoughtlessly produced because I’ve got a feeling Black Panther could be made to sound like one of the better Marvel scores so far with a bit of effort (my slightly facile observation is that there’s a four-star score buried somewhere within a two-star album). It really is impressive how Göransson has made it so distinctive: while each of the elements is not in itself anything truly ground-breaking, bringing them together in this way for a movie as mainstream as this is certainly something new. And I’m certainly not impervious to the cultural significance of this particular film being such a success, and the place the music (including the hip-hop – despite my flippant comments) plays in that. Yeah, I think the fifty minute playlist is basically the best way to hear this score. Now I just need someone to come up with a fifty minute version for Tyler’s The Mummy. George Fenton did not compose the score for Cry Freedom. I’m surprised at you. He did write it, in collaboration with Jonas Gwangwa. Exactly my thoughts on the album. The score was at epic proportions for the intended scenes, but same could not be replicated with my experience without the film. Like to rephrase J.B., as Ludwig wanted to throw everything onto the album he produced like Tyler does often. Great review as always, but I do think the outirght dismissal of the hip hop elements is a shame. It’s as much a core part of this score as the string section, and the way they play with traditional movie scoring is arguably the best thing about the album. It’s roughly akin to skipping the beginning of Stravinsky’s Rite of Spring because you don’t like the bassoon. I do agree that killmonger’s theme is in many ways the heart of the album though. Just, you know, including the hip-hop =]. The elements of hip hop reflect the African diaspora and are completely essential to the score. What a distinct, breathlessly exciting fusion of so many different ideas, instruments and scoring styles. My favorite superhero score in over a decade, and probably unseated only by Solo for my score of the year.